The dialog and negotiations process for the resolution of the Kurdish Issue, launched at İmralı Island on January 2013, entered a new phase on February 28, 2015 following its announcement in the Dolmabahçe Palace before the press by a mixed delegation of HDP and AKP deputies. The Dolmabahçe Agreement, which pronounced a 10-article roadmap for the negotiations process, has enhanced the hope and commitment for peace among the peoples of Turkey, and Kurds in particular. From Africa to Asia, Middle East to Europe, women have experienced the 20th century as the era of incessant wars, whether covert or open. Capitalist modernity of the 21th century oppresses women in their body and soul within racist, sexist, secular or religious forms of fundamentalism. Following the Dolmabahçe Agreement, the termination of the peace process by the government, and the escalation of violence within the framework of a newly emerging war concept, was similarly a direct attack on women in Kürdistan and Turkey, with severe consequences for women’s freedom more than anything else. Inclusion of a woman from the Free Women’s Congress (KJA) at the peace negotiations taking place between the leader of Kurdish People, Abdullah Öcalan, and the AKP government, was of historical importance for the world women’s movement. 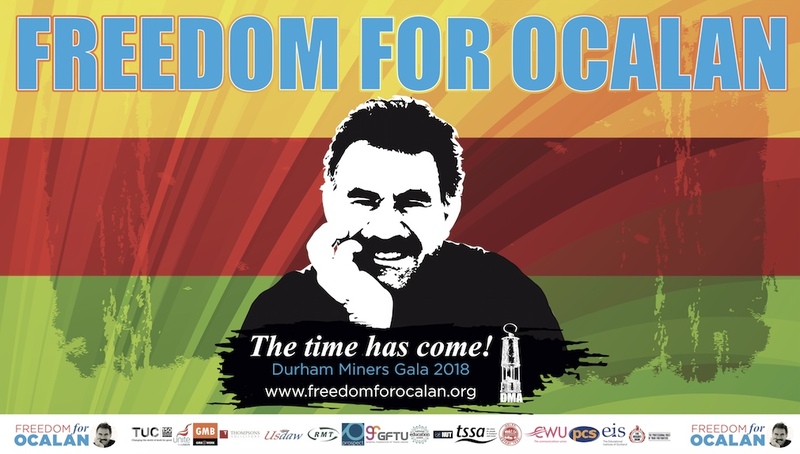 At the insistence of Mr. Öcalan, this marked a first among the experiences of conflict resolution worldwide. That is, representation of KJA was guaranteed by an article in the Dolmabahçe Agreement entitled “The legal resolutions and assurances for the women’s issue”. 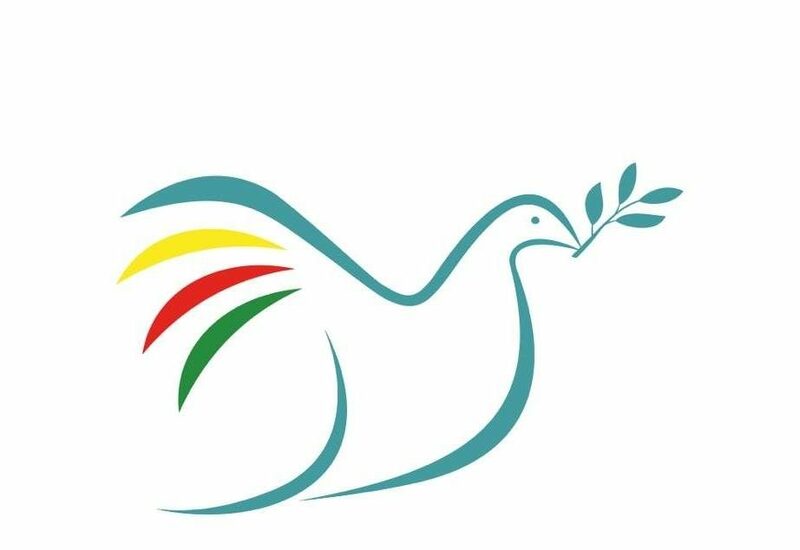 KJA has been vigorously striving for societal peace for years, and is determined to continue its struggle for a democratic resolution based on universal human rights. KJA, as a primary actor of the Kurdish freedom movement, stresses that only women can bring peace against the male-dominant politics of denial, occupation, and war. Thus, as part of the world women’s movement, KJA took part as a founding member of the Women’s Freedom Assembly (KÖM), and the Women’s Initiative for Peace (BİKG), an independent women’s organization working towards social dissemination of peace. KJA identifies the geographical borders, as well as those drawn between women, as occupation, and asserts that democratic peace could only be achieved through diversity in freedom. As a consequence of the prohibition of meetings with Mr. Öcalan, the hate speeches performed by the AKP government and the media, the lynching campaigns, and the escalating military operations, HDP election campaign had become the target of over 150 assaults. On June 5, two days before the elections, the bomb explosion in the HDP rally killed 5 people, wounded over 400, 243 of whom were permanently disfigured and disabled. Despite the escalating violence, HDP won 80 seats in the parliament with 13.1% of the votes, and AKP lost its parliamentary majority for the first time in thirteen years. With 40% women MPs, HDP also hit the highest rate of woman’s representation ever achieved by a political party in the history of the republic. It was a significant outcome of the organized women’s struggle that 32 women deputies from different cultures, beliefs, and identities were brought together under the parliamentary umbrella. In the aftermath of the 7th June elections, while some AKP followers claimed that the “masses opted for chaos”, Deputy Prime Minister Yalçın Akdoğan asserted, “The peace process came to an end, because the people of the region (Kurdish region) have voted for HDP.” No later than a week, discussions for snap elections began, and soon, the transitional government started proceeding towards the 1st November elections. Within this period, on 20 July 2015, 300 university students from all across Turkey, most of them SDGF (Socialist Youth Associations Federation) members, arrived in Turkey’s border town of Suruç to support the reconstruction process of war-torn Kobane. 33 people were killed in the bombing attack carried out by ISIS on a press briefing. On the pretext that this attack was organized by PKK, in a week’s time, over 1000 HDP and DBP members were taken into custody and arrested. Since 24th July, when the government launched a de-facto war, Turkish warplanes have been pounding the Qandil Mountain at the border of Southern Kurdistan (Kurdistan Regional Government). The YPG/YPJ guerillas wounded in the fight against ISIS in Rojava (Western Kurdistan in Syria), were kept waiting to death by the Turkish security officers at the border. On 25th July, the bodies of the 13 guerillas who lost their lives in Rojava were denied access into Turkey for 11 days from the Habur Border Gate in Silopi. During the Qandil bombardments of 1st August, 7 civilians in the Zergele village lost their lives. On 10th September, 100 people were killed in the bombing attack at the Labor, Peace, Democracy Rally in Ankara. The close linkage of the identified suicide bombers to the perpetrators of Diyarbakır and Suruç bombings was an evidence of the AKP plot. These interrelated attacks before the November elections caused a huge impact on the population. Despite the war, terror, censor, and fear mongering politics of the government, however, HDP passed the 10% threshold once again. Even though AKP won the majority in the parliament, it could not achieve the number of deputies necessary for a regime change towards a presidential system. The demand for self-governance, pronounced in the HDP party program, calls for decentralized, democratic, just and emancipatory transformation of the state. The construction process of self-governance in Kürdistan entered a new phase, following the declaration of autonomy by the people’s assemblies in August, starting in Şırnak, and continuing with Yüksekova, Batman, Sur, Silvan, Cizre, Silopi and Nusaybin. Constructions and declarations of self-governance based on Kurdish people’s will for autonomy, aim at recognition of constitutionally guaranteed equal citizenship rights, democratization of public services, retreat of the state security forces, ending the repressions over society, including human rights violations and tyranny of appointed state officers over people’s will. The government has completely criminalized these demands by declaring Special Security Zones in all self-government areas. The police forces first arrested the co-mayors and members of the people’s assemblies, removed them from office, and then conducted military operations that lasted for weeks in parts of urban centers under curfew, with tanks, cannons, mortars, and even aerial bombardment. The explicitly racist and sexist graffiti drawn by the Special Operations Police wearing snow masks reveal their level of aggression towards local people’s resilience. In districts, such as, Bismil, Sur, and Silvan, they drew fascist maxims: “You will see the power of the Turks”, “Esedullah Team”, “Be proud if you are a Turk, otherwise, just obey”, “There is blood on the wolf’s teeth, beware!”, “Victory belongs to Islam, even if we spill our blood”, and shared them over social media. Women are killed while they try to protect each other in the so-called “military security zones” imposed in urban areas. They are shot dead in or outside their homes by snipers, and cannot be buried due to round-the-clock curfews for weeks. It is a shame on humanity not to question the violation of right to life in urban centers. As exposed in independent observer reports, women and children in these areas are under severe threat of physical and sexual violence, which increases further in custody. On 10th August, in the Varto town of Muş, PKK militant Ekin Van (Kevser Eltürk) was killed suspiciously. Her dead body was bared, tortured, and its video recordings shared over social media by the state security personnel. Between 4–12 September 2015, 21 civilian women were killed in the military curfew imposed on the Cizre town of Şırnak alone. Significant amount of evidence points to responsibility of the state security forces in these deaths. Cemile Çağırga, aged 13, was killed in Cizre on 7th September, after heavy artillery hit her house. As the curfew did not permit the burial, her family had to keep her body in the deep-freezer for days. Again in Cizre, Zeynep Taşkın, aged 18, was shot by snipers right in her street, and her mother-in-law Maşallah Edin, aged 35, was shot dead while trying to help her on 10th September. On 18th December, 57-year-old Taybet İnan, a mother of eleven children, was killed outside her house in the Silopi town of Şırnak, and her dead body remained on the street for 7 days due to the curfew. Later on, state officials clandestinely seized her corpse from the state hospital morgue, and buried her along with 8 other corpses, without any notice to their families. On 5 January 2016, three Kurdish women politicians, Sêvê Demir, the Executive Board Member of KJA (Free Women’s Congress) and the Party Assembly Member of DBP (Democratic Regions Party); Pakize Nayir, Co-Chair of People’s Assembly in Silopi; and Fatma Uyar, also member of KJA, were brutally executed on the street in Silopi by state security forces. Autopsy reports ascertained that they were shot by hundreds of bullets, and disfigured beyond recognition. Between 7 June 2015 and 18 January 2016, according to the investigations carried out by Human Rights Association (İHD) and People’s Democratic Party (HDP), 41 women were directly killed by state security forces, and 40 more women, under the conditions of war. During the same period, 30 women lost their lives in the bombing attack in Ankara. None of the state security personnel responsible for these deaths were investigated or removed from their positions. This in itself is a crime against humanity. only targeting our members, but also the gender-emancipatory system that is being built by women. Thousands of women kidnapped from Shingal and Rojava (Northern Syria) are being sold in markets much like in the era of slavery. These women, held forcibly, are being traded in many different locations including Gaziantep and Şanlıurfa while national and international judiciaries turn a blind eye. Women in Kurdistan have founded “The Platform for Struggle for Women Held Captive by Force” to fight against this slave-making mentality. Under these circumstances, there is no doubt that women’s self-defense against these cultural, historical, and sexual attacks are completely legitimate. Children were also direct targets of the war. In conflict areas, between 7 June 2015 and 18 January 2016, security forces killed 56 children, aged 0–17, and the bombing attack in Ankara Peace Rally killed 2 more. Families could not bury their children for days because of the curfews. 12-year-old Cemile Cağırga’s dead body, shot in Cizre, was preserved in the deepfreeze at home for three days. To date, no investigation has been undertaken in relation to the murder of these children. Over this time period, numerous military operations were undertaken in urban and rural areas all across Kürdistan; Şemdinli town, Lice town, and Dersim province in particular. The use of artillery caused fires in rural parts of these towns, burned down thousands of acres of forestland and destroyed many gardens and village houses (Ecological Damage Report prepared by Union of South Eastern Region Municipalities (GABB)). Between 12 September 2015 and 10 January 2016, the security forces have bombarded and destroyed, in rural areas of 11 provinces, 13 cemeteries, home to PKK members who lost their lives at various points in the protracted war on Kurdistan. 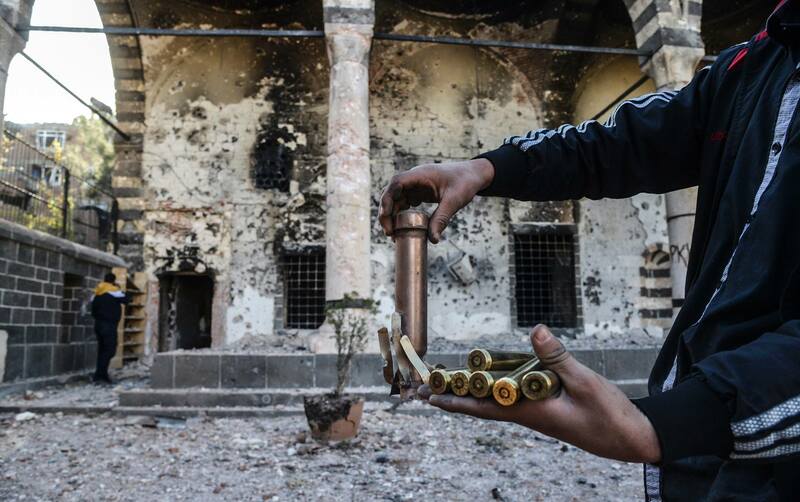 Mosques and Alevi cem houses attached to the cemeteries have been destroyed as well on the pretext that they served as storage sites of arsenal for the PKK. Each time the local people stood watch as human shields to prevent the destructions. The election victory of HDP, the liberation of Kobane, established political control of Cizire and Kobane Cantons following the seizure of Tel Abyad, and advancement towards the Afrin Canton located to the west of Fırat River, which AKP government considers as their “red line”, have drawn international attention to the Kurdish cause. With the Rojava Revolution, Kurds have introduced a “third way” and a new model of governance in the Middle East. Turkey, on the other hand, has preferred to serve as a transit route for terrorist organizations like ISIS, giving up its zero-problem foreign policy and ambition to form a model, moving instead towards “precious loneliness”. This, we believe, is the main reason behind these ferocious attacks unleashed against Kurds. Developments in Turkey cannot be understood independent of these developments in the Middle East. All nation-states in the world, and especially Europe, must re-examine their policies in the Middle East, where they have either contributed to the war itself or turned a blind eye to violence and war until millions of refugees flooded their borders. The delay in publication of the EU Progress Report on Turkey contributed significantly to the inaction of those responsible for preventing human rights violations. Reports published hastily by some international organizations that resorted solely to secondary resources, on the other hand, revealed an unethical and irresponsible approach to the developments in the region. The genocide politics deployed in Kürdistan today is a problem not only of Turkey, but the entire international community. Conflict in any part of the world cannot be regarded as too distant from anywhere. In this sense, acknowledging the principle role and agency of the local democratic forces in conflict resolution, we invite all democratic institutions and countries in the world, including the European Court of Human Rights, to play their role in ending Turkish State’s genocidal politics, which disproportionately attacks the peaceful construction of self-governance process of the Kurds. We call upon the international community to recognize the status of Kurdish people.